From compelling new visions to revivals and reboots of known and lost wonders, next year’s incoming animated features reach far and wide. But if 2016 will be remembered for one thing, it’ll be for animal movies. There is a nearly endless stream of movies with predominantly animal casts scheduled to bow next year, among them, Kung Fu Panda 3, Norm of the North, Zootopia, Sing, The Angry Birds Movie, The Secret Life of Pets, Finding Dory, and Ice Age: Collision Course. The big question: Is there a bottomless appetite for these type of films, especially since all of them target the same general family audience? Illumination, the studio responsible for 2015’s most successful animated pic, Minions, will release two movies next year: The Secret Life of Pets and Sing. Disney will push out two, too: Zootopia and Moana. And so too will DreamWorks: Kung Fu Panda 3 and Trolls. The two-film-a-year strategy backfired for Pixar this year with The Good Dinosaur becoming the studio’s least successful theatrical release ever. Eyes will be on Illumination, Disney, and DreamWorks to see if they fare better. The venerable Michaël Dudok de Wit will make his feature film debut with The Red Turtle, and if it’s anything like Dudok de Wit’s splendid shorts like Father and Daughter and The Monk and the Fish, it will be a can’t-miss experience. Expectations are running high; the film marks the first time that Studio Ghibli has come aboard as a producing partner on a European animated feature. Speaking of mature animation, in 2015, Anomalisa reminded critics and audiences alike that feature animation doesn’t just have to be aimed at toddlers. That trend continues in 2016 with adult animated features that range from the dead sober (Another Day of Life ) to adult drama (Cinderella the Cat, Loving Vincent) to raunchy teen comedy (Sausage Party). The only problem: non-family animation is ignored by major U.S. film distributors and most of these films will never get significant stateside distribution. Videogames long ago supplanted animation as the entertainment of choice for kids; it’s no surprise then that in 2016, at least six animated features are based on game franchises: The Angry Birds Movie, Ratchet & Clank, Dofus: Book 1—Julith, Sly Cooper, Dragon Nest: Throne of Elves, and King of Prism. While China produces more CG animated features than any other country, most of it is produced cheap and fast for its domestic market where audiences are undemanding. Or at least they used to be. After the smash success of 2015’s Monkey King: Hero is Back, Chinese producers are continuing to boost production standards with the aim of entering the global marketplace. Many of them are doing so with American assistance. Some major Chinese projects to look for in 2016: Rock Dog, developed in China and animated in the U.S. at Reel FX; tech entrepreneur Gary Wang’s entirely Chinese-produced Little Door Gods; and Ping Pong Rabbit, co-directed by Corpse Bride helmer Mike Johnson. Rock Dog and Ping Pong Rabbit are deeply indebted storywise to Kung Fu Panda, a film that has had an outsized effect on the Chinese animation industry. Relatedly, Kung Fu Panda 3, which although animated (and otherwise mostly produced) in the U.S., will technically become the first U.S./Chinese DreamWorks co-production when it’s released next month. In our roundup below, we list both films that will be coming out in the United States during 2016 as well as films that will be released internationally. China’s bid for Hollywood’s CGI blockbusters — and a hopeful Academy Award nomination — concerns the fading of the spirit world, and the attempts by two unemployed Door Gods, Shen Lu and Yu Lei, to bring humans back to it. A feature spinoff of the Pretty Rhythm: Rainbow Live TV series, which itself is based on the Pretty Rhythm arcade game series. The film follows the boy band Over the Rainbow who are competing for the Prism King Cup against a rival group, Schwartz Rose. The film falls under the “pretty boy” genre of anime known as bishounen, aimed primarily at girls and women. Polar bear Norm takes on a developer threatening to build luxury condos in his icy backyard by journeying to New York City with a cast of lemmings. 1892, Saint Petersburg. Sasha, a young Russian aristocrat, fascinated by her grandfather’s life as an adventurer, sets out to find him and his missing arctic ship from his last expedition to the North Pole. When Po’s father reappears, the duo travels to a secret paradise to train their fellow pandas for a showdown with the supernatural villain, Kai. Based on the Flash-based massively multiplayer online role-playing game from France’s Ankama Games, this epic adventure follows Joris and his friends as they defend the majestic city of Bonta from the vengeful witch, Julith. Based on the live-action film La Guerre des Tuques (The Dog Who Stopped the War), Snowtime! examines how a simple snowball fight between kids in a small village deteriorates into a more serious conflict, but builds up to the underlying message that neither side wins in war. The first major animated co-production between studios in Mexico and America, this comedy follows the carefree Mexican pre-teen parrot, Cuco, as he journeys to Hollywood to enlist the aid of his hero to help his father, Gayo, and protect his circus family from the threat of Martin Kingfisher. In the popular Malaysian animated TV series about a boy with the power to split into multiple elements, he defends earth from evil squared-headed aliens. An anthropomorphic tale of a mammal metropolis, Zootopia is also a police procedural partnering optimistic officer Judy Hopps with the scam-artist Nick Wilde to solve a mystery. The first animated feature adaptation of Antoine de Saint-Exupéry’s masterpiece, The Little Prince, is a mixed-media enterprise, with the original Saint-Exupéry tale made in stop motion. Another Day of Life is based on the work of Polish journalist/war reporter Ryszard Kapuściński, who spent three months in 1975 in Angola at the beginning of the country’s decades-long civil war. Sony Playstation’s long-running game franchise gets a feature origin story, telling the story of how Ratchet and Clank struggle to stop Chairman Drek from destroying every planet in the Solana Galaxy. Angry Birds’ Red, Chuck, Bomb, Matilda, Stella, Hal and Bubbles defend their paradise from arrival of the Pigs, lead by Leonard. Months after the events of Finding Nemo, Dory swims with Nemo and Marlin to find her family on the California coast, meeting Bailey the white beluga whale, Destiny the whale shark, and Hank the octopus along the way. A sneak peek into the nine-to-five routines of pets living in a bustling Manhattan apartment, Illumination’s newest film is a high-concept attractor for animal lovers. Scrat chases his elusive acorn into space, where he accidentally sets off a series of cosmic events that transform and threaten the Ice Age World. One Piece is an unstoppable franchise: not only is it the bestselling manga of all-time, but over 700 TV episodes and 12 animated features have been produced about Monkey D. Luffy and gang. Gold is the thirteenth One Piece feature produced in the last 15 years. Stop motion veteran Mike Johnson, who co-directed The Corpse Bride, teams up with Chinese animation director Yuefeng Song to make this film about a ping pong-loving rabbit written by High School Musical scribe Peter Barsocchini. This R-rated comedy follows a sausage and his friends, as they try to get back to the shopping market aisles for a Fourth of July sale after falling out of a cart. From the director of The Garden of Words and 5 Centimeters Per Second, Makoto Shinkai’s latest film is a “story of miracles and love” revolving around two Japanese teenagers who lead very different lives yet manage to find each other through their dreams. Production Company: CoMix Wave Inc.
Laika’s latest stop-motion wonder is a Japanese fantasy about kindhearted Kubo, whose humble seaside existence is shattered when he accidentally summons a spirit from his past which storms down from the heavens to enforce an age-old vendetta. Junior and Tulip, two top storks delivering packages for a global Internet giant, accidentally activate a Baby Making Machine, which produces a girl they must deliver to the only human on Stork Mountain. Hayao Miyazaki hand-picked the Oscar-winning director for this dialogue-lesss film collaboration between his legendary studio and France’s Wild Bunch, which tracks the life stages of a castaway on a deserted tropical island populated by turtles, crabs, and birds. In the town where the Day of the Dead legend arose, there is an ancient secret that is about to be revealed by a brave young man. Princess Poppy and Branch venture beyond the world they know in a quest testing their strength and true colors. The Princess and the Frog directors tell a tale of the navigator Moana, as she sets sail in the ancient South Pacific world of Oceania and teams up with the heroic demi-god Maui in search a fabled island. Buster the koala recruits his best friend Eddie the black sheep to help him drum up business for his theater by hosting a singing competition. In a dystopian steampunk sci-fi set in an alternative Paris, a young girl, April, sets out to find her scientist parents who have disappeared. Mexican director Carlos Carrera has experienced success both in live-action, nominated for a foreign language Academy Award for El crimen del Padre Amaro, and animation, winning the Cannes Palme d’Or for short film in 1994 for El héroe. Now, he makes his feature animation debut with Ana y Bruno, about a young girl who teams up with a creature named Bruno to help save his mother from grave danger. A family’s life is turned upside down when they inherit a rundown circus and a magical box of animal crackers, which change those who eat them into the animal they’ve eaten. In 1879, an orphan girl named Felice dreams of becoming a ballerina and flees rural Brittany with the orphan boy, Corentin, setting out for Paris, where she assumes another identity and becomes a pupil at the Grand Opera house. This adult iteration of Cinderella is set in Naples and based on Roberto de Simone’s 1976 opera, La Gatta Cenerentola, a futuristic adaptation of the classic fairy tale celebrating its 40th anniversary in 2016. Produced for well under US$1 million, the film is notable for being the first animated feature ever produced in Bangladesh, according to its producers. It’s based on a story by Bengali hero Rabindranath Tagore, the first Asian writer to win the Nobel Prize in Literature in 1913. Throne of Elves is the second animated feature based on the popular online game Dragon Nest. The first feature, Dragon Nest: Warriors’ Dawn, was released in 2014. Sidekicks to super-villains take center stage in this tale of a new recruit, Lester, who joins the Union of Evil and is assigned to a motley crew of blue-collar workers seeking to defeat their nemesis, Captain Superior. Based on the graphic novel by Bruce Brown, Howard Lovecraft is a blend of fiction and biography that combines new storytelling, events of H.P. Lovecraft’s life, and iconic elements of his writings. An ambitious animated feature in which every frame is painted about the challenging life and mysterious death of the timeless artist, Vincent van Gogh. Based on Gilles Paris’s novel Autobiographie d’une courgette. After his mother’s sudden death, a boy named Zucchini struggles and learns to find his place in a foster home. From the makers of the Oscar-nominated French film A Cat in Paris, Phantom Boy is described as a “stylish animated noir” that follows a New York City boy named Leo with a mysterious illness who haunts the city as a ghostly apparition. Tuesday the outgoing parrot lives with his animal friends in a tiny island paradise — until Robinson Crusoe shows up — in this Belgian adaptation of the classic Daniel Defoe novel. The most expensive 100% Chinese-financed animated production to date, and animated entirely in the United States, Rock Dog marks the first time a Chinese animated feature has been designed as a cross-cultural project for both Chinese and Western audiences. The movie tells the story of Bodi, a Tibetan Mastiff who becomes obsessed with an old-school rocker (and cat) named Angus, and must prove to his father that becoming a musician is a worthy career path for a dog. Wizart, the Russian studio responsible for the popular Snow Queen franchise, takes on another classic set-up: sheep and wolves. Scriptwriter Neil Landau (Don’t Tell Mom the Babysitter’s Dead) adds some twists though, such as a wolf who accidentally takes a magic poison that gives him the body of a ram. Based on Sony Playstation’s game franchise, this animated comedy follows the adventures of the orphaned raccoon thief, Sly Cooper, and his childhood friends (and partners in crime), Bentley Turtle and Murray Hippo. 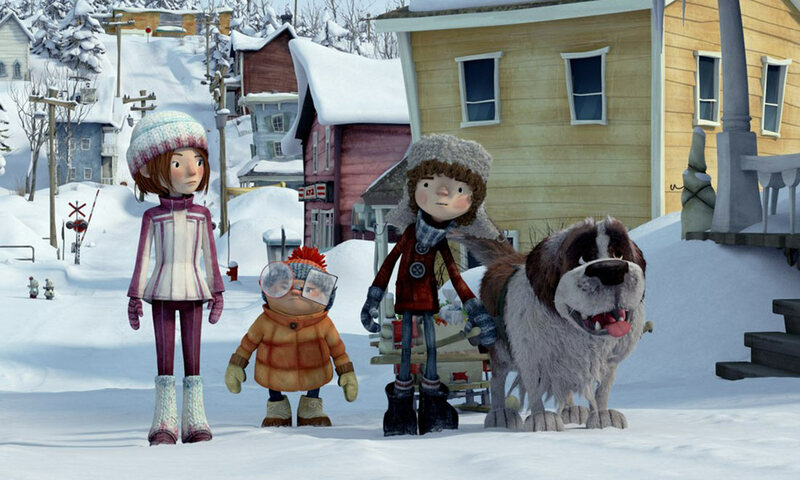 A follow-up to the hit 2012 Spanish children’s feature Tad, The Lost Explorer, which held the number one spot at the Spanish box office for five weeks in a row. The franchise stars a bricklayer named Tad who moonlights as an adventurer/archaeologist. Surly the squirrel’s adventures continue. Originally scheduled for a January 2016, release, the film has been pushed back and does not have a new release date as of this writing.